I took my wife to Atlanta for our 22nd anniversary. We visited the Fernbank Museum of Natural History. The museum has many spectacular murals and some interesting fossils and artifacts, but most of their displays consist of taxidermic mounts and reconstructed replicas. Below are some photos of their interesting displays. However, I neglected to take a photo of their most interesting Indian artifact–a 300 year old dugout canoe made of a longleaf pine trunk. A fossil tree root of Paleozoic Age. The grooves were made by extinct insects entirely unknown to science. Millions upon millions of insect species lived but left no direct fossil evidence of their existence. A fossilized tree trunk, also of Paleozoic age. This tree lived before the species of bacteria that decays wood evolved. Therefore, it turned to coal. The conditions that create coal don’t exist on present day earth because bacteria that consumes wood has evolved. The artist did a fantastic job with his mural. However, it’s probably inaccurate. Most of these species of dinosaurs probably had feathers. Real dinosaur fossils found in Georgia. The foot bone of an Appalachiosaurus ( a species of tyrannosaur), and some bones of Deinosuchus–a 50 foot long crocodilian. Replicas of allosaurus and stegosaurus. Replica of a megatherium–a South American species of giant ground sloth. Most of the Fernbank Museum’s revenue probably comes from school field trips. I had an enlightening and amusing conversation with some middle school students in front of the megatherium display. Student 1: What is it? Student 3: No, it’s not. It’s a cousin to a bear. Student 4: How did it get so big? Before the pseudo-professor in me had a chance to explain they left the room. Notice that none of the students bothered to read the label on the display explaining what the specimen was. Also, the students seemed to have no concept of speciation or evolution. It’s not the teacher’s fault. The students are apparently too lazy to read. My favorite specimen in the museum. The skull and some bones of an Eremotherium laurillardi–a giant ground sloth that formerly lived in Georgia. This skull and most of its skeleton was found in the Frederica River behind St. Simon’s Island in 1991. The museum plans to put the entire skeleton together and display it. There is a 65 acre forest consisting of old growth timber behind the museum. Last year, I read on the Tree Society Message Board that the Fernbank Forest was closed to the public. I thought by now they would have surely re-opened it, and I was looking forward to walking through this extremely rare gem. I was bitterly disappointed to find it was still closed to the public because they are still refurbishing the forest. How do you refurbish a virgin forest? I was pissed off. I don’t want to endure Atlanta traffic ever again, but if I want to see this, I’ll have to come back. Driving in Atlanta is torture. I don’t understand how any Atlanta resident can be opposed to abortion. There are too many damned people in Atlanta. Do they want to spend most of their existence in traffic jams? Being stuck in a traffic jam is not living. A person trapped in a car for hours everyday might as well be living inside a coffin. After driving in Atlanta, I feel like offing myself. This is as close as I could get to Fernbank Forest. With the exception of a few guided tours, it is closed until summer. GODDAMNIT! Eurasian steppe mammoths crossed the Bering Land Bridge early during the Pleistocene (~1.9 million years BP) and colonized North America. They ecologically replaced stegomastodons over most of the continent but the ranges of both overlapped in Central America until the late Pleistocene. Mammoths never colonized South America where stegomastodons continued to flourish until human hunters arrived on the scene. Mammoths were probably better adapted than stegomastodons to the cooler more temperate climates that occurred over most of North America during the Pleistocene. Stegomastodons should not be confused with the American mastodon (Mammut americana) which co-existed with mammoths across most of North America for almost 2 million years. They were able to co-exist because these 2 species favored different ecological niches. Mammoths preferred higher drier grasslands, while mastodons were semi-aquatic denizens of wetlands. Scientists long assumed mammoths that colonized North America evolved into a different species than Eurasian steppe mammoths. North American mammoths of the late Pleistocene are given the scientific name Mammuthus columbi and Eurasian steppe mammoths are considered M. trogontherii. 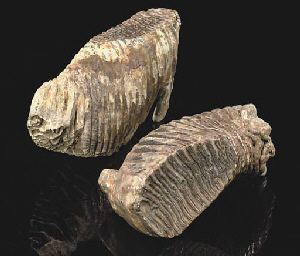 However, a recent study of mammoth teeth determined M. columbi and M. trogontherii should be considered the same species. The authors of this study think teeth of the Columbian mammoth originally used to compare with the teeth of the Eurasian steppe mammoth were from older individuals, thereby misleading scientists into thinking M. columbi was a different species. The differences could be explained by normal wear and tear that one would expect from older animals. 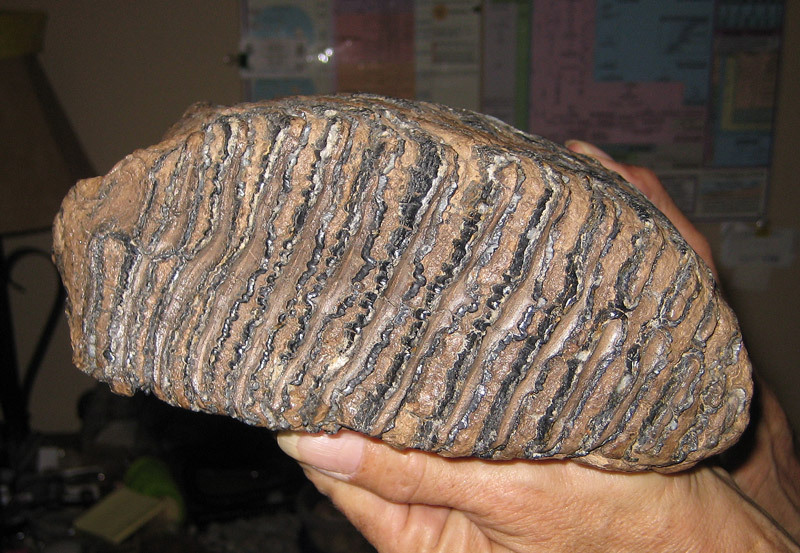 Columbian mammoth tooth. 2 scientists determined from an analysis of teeth that the Columbian mammoth of North America and the Eurasian steppe mammoth were the same species. Eurasian steppe mammoths evolved into woolly mammoths (M. primigenius) about 370,000 years ago during an harsh Ice Age. Woolly mammoths also crossed the Bering Land Bridge, and as I mentioned in my previous blog post, hybridized with Columbian mammoths wherever the ranges of the 2 species overlapped. If the U.S. government exiled me for some reason, I’d consider moving to Canada or Costa Rica. I’d probably choose the latter because the weather is nicer. I fantasized about moving to Costa Rica a few months ago and even searched online for a house. I found a nice home for sale at a price similar to the value of my current residence in Augusta, Georgia. Monkeys and coati-mundis frequent the backyard there. Alas, the satellite television service is reportedly poor, so I might not get to watch the Georgia Bulldogs play football. I suppose, if I made this fantasy come true, I’d have to rename my blog–Costa Rica Before People. Central America provided a diversity of habitats for many species of megafauna during the late Pleistocene. During full glacials tropically heated water pooled near the equator and did not circulate into the North Atlantic. The region stayed warm year round and was covered with various types of tropical forest. Yet some grasslands must have existed because fossil evidence of the Columbian mammoth, a grazer, has been unearthed at a site in Costa Rica referred to as the Hacienda Silencio (Silent Estate). (From what I can determine online this site sounds like an upscale resort.) This is the southernmost known range limit of the Columbian mammoth. A deep belt of tropical forests, inhospitable to Columbian mammoths, must have prevented this species from moving farther south and colonizing South America. A specimen identified as a mammoth was found during the 1930s in Guyana, but that specimen has been lost, and it’s likely a misidentification. Instead, the specimen probably represented another species of proboscidean that did colonize South America. There were 4 genera of proboscideans living in Central America during the late Pleistocene–the aforementioned Columbian mammoth, as well as mastodon, stegomastodon, and gompothere. The remains of mastodon and gompothere have never been found together in the same fossil site in this region, leading researchers to believe they occupied different types of habitat. Mastodons preferred lowland aquatic habitats, while gompotheres lived in higher drier forests. Columbian mammoths favored savannahs and prairies but could adapt to some wooded environments. The wide geographic range of the Columbian mammoth is evidence that it was a particularly adaptable species, capable of surviving in many different habitats. Famous Charles Knight painting of Columbian mammoths. Most of the google images of this species depict it without fur. Columbian mammoths probably had fur because they occurred all across North America and could endure all sorts of climatic conditions. Range maps of Columbian and Woolly mammoths. Fossil evidence of Columbian mammoths has been found farther south than this map indicates. Genetic evidence suggests these 2 species occasionally interbred where their ranges overlapped. Columbian mammoths lived as far north as southern Canada. Genetic and morphological evidence suggests that it hybridized with woolly mammoths (Mammuthus primigenius) in the northern part of its range where it overlapped with its northern cousin. Some mammoth specimens found in the Great Lakes region have been given the species name, Mammuthus jeffersonii. Scientists suspect this purported species is merely a Columbian and woolly mammoth hybrid. Columbian mammoths were substantially larger than woolly mammoths, so these hybrids were nearly all the result of male Columbian mammoths copulating with female woolly mammoths. Male Columbian mammoths overpowered male woolly mammoths in battles over mating rights. The same scenario holds true today in Africa where larger savannah elephants (Loxodonta africanus) occasionally mate with smaller forest elephants (L. cyclotis). There is also a case of an African elephant successfully mating with an Asiatic elephant (Elephas maximus) in captivity. Scientists haven’t yet conducted a genetic study to determine when Columbian mammoths diverged from woolly mammoths. The ability of the 2 species to hybridize suggests this divergence was more recent than the fossil evidence suggests. I write an irregular series on this blog, imagining how I would live, if I could travel back in time to a location in east central Georgia 36,000 years BP. I don’t believe in “roughing it,” so I would bring as many modern conveniences back in time with me as possible. I chose this time period because the evidence suggests it was during a mild phase of climate, an interstadial with average temperatures probably more comfortable than those of present day Georgia. 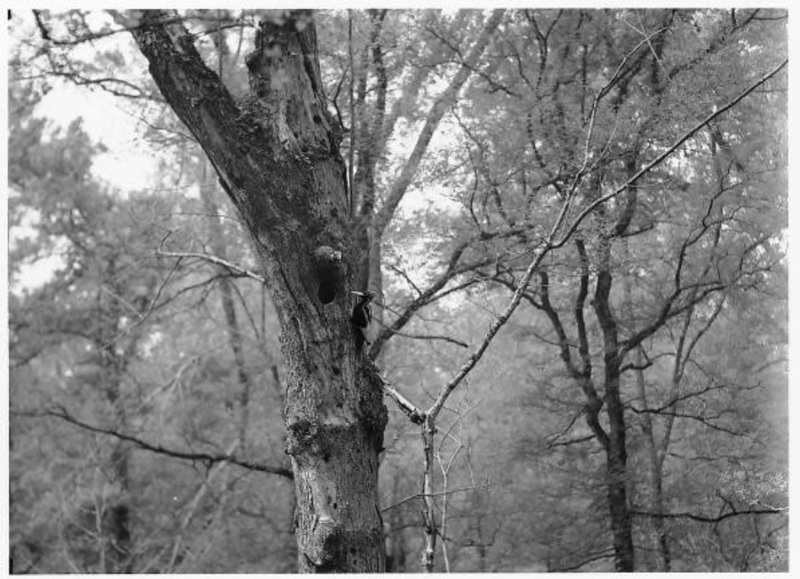 Open oak woodlands likely prevailed but with some relict grassland habitat and old stands of white pines. My wilderness homestead is located above the floodplains of the Savannah and Broad Rivers, but close enough for me to regularly exploit easy sources of protein–fish, turtles, mussels, crayfish, and ducks. There are 2 parts to my fantasy: 1) to live in an absolute wilderness where I can look out the window and see saber-tooths, mammoths, and herds of other megafauna; and 2) the enjoyment of living off the land, surviving on whatever I can hunt, fish, raise, or grow. I know what to expect from the fossil record and pollen studies, but I’m sure there would be a thousand surprises, if I really could travel back to this time period. It has been amost 3 years since I submitted a post in this series (See: https://markgelbart.wordpress.com/?s=If+I+could+live+in+the+Pleistocene ), but a book I just finished reading inspired me to make an additional post. Southern Provisions: The Creation and Revival of a Cuisine by David Shields is about the history of important food crops grown in the low country during the 18th and 19th centuries. Many of the food plants discussed in his book would be essential crops for my wilderness homestead. I would grow these crops, along with many others, in my homestead garden. Of course, a high wall, especially designed to keep out marauding bears and squirrels, surrounds my garden, and I’d probably need netting to protect my rows of grain and fruit trees from the birds. Also known as field peas or cow peas, this species is still a valuable agricultural crop in the south. Field peas can be used as a green manure because they transfer nitrogen in the atmosphere to the soil. They are also used to feed livestock. At my wilderness homestead I keep milk cows that could always use the extra feed. Some varieties make a nutritious food for people as well. Black-eyed peas would be an important protein substitute, if my meat supply ran low for some reason. During the mid 19th century, a farmer in Burke County, Georgia grew at least 25 varieties of field peas. I would grow 5 or 6 of the best table varieties. The peas can be used as a vegetable when they are immature. Immature peas mixed with rice make a dish called “reezy-peezy,” while mature peas mixed with rice make a dish known as “hop-n-John.” Incidentally, I’d also grow rice in a shallow swimming pool-like structure that I could fill and drain with water. A type of black-eyed or field pea known as Sea Island red pea. Field peas are easy to grow and would probably be an important food, if I lived in a wilderness homestead during the Pleistocene. This species originated in South America. Spanish traders introduced peanuts to Africa where an unrelated but similar legume, known as the gooba pea, was already cultivated. Gooba peas also grow underground like peanuts but can’t be eaten unless boiled. 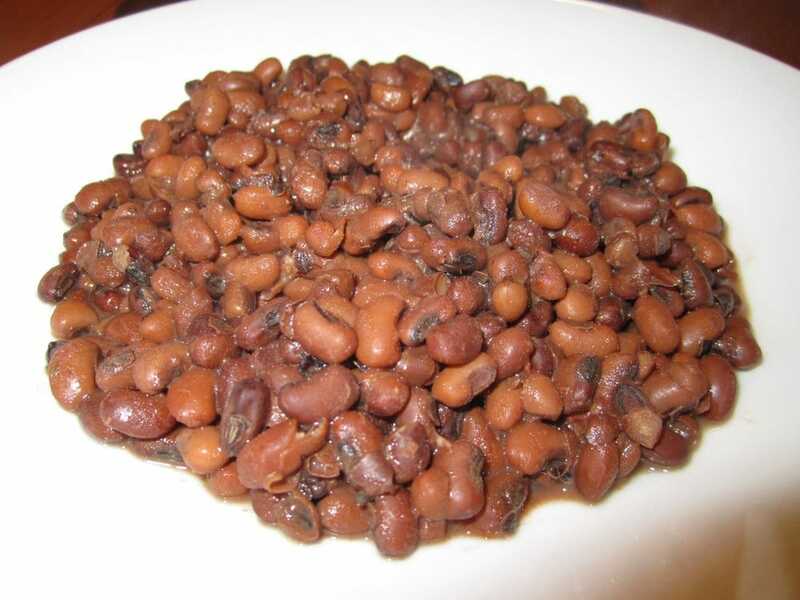 Africans boiled peanuts because they traditionally boiled goobas. Enslaved Africans brought this tradition of boiling peanuts with them to North America. I love peanuts roasted, boiled, and as peanut butter. Peanut oil is good for deep frying and can be manufactured into soap. At my wilderness homestead I’d use chopped peanuts as chicken feed. I’d grow 3 varieties–the big Virginia, the oily Valencia, and the Tennessee Red. The Tennessee Red peanut. I couldn’t live without peanuts and would have to bring them back in time with me. They are high in niacin and improve sexual performance. Sesame, known as benne in the low country during the pre-Civil War era, served as an important source of fat in the diet of slaves. Cold pressed sesame oil is reportedly an excellent substitute for olive oil in salad dressings. Olive trees take 10 years to bear fruit and probably couldn’t survive the interstadial climate of central Georgia with its frequent ice storms. I like salads and would definitely need sesame oil for dressings and home-made mayonnaise. Toasted sesame oil is an Asian condiment used to flavor soups and noodles. Ground sesame seeds or tahini is an ingredient in the Middle-Eastern staple, hummus. Sesame seeds are great in cookies, crackers, and candy. Sesame seed plant. The oil rendered from sesame seeds can be used to make salad dressing. Sorghum became popular during the Civil War when both the North and the South suffered from an interruption in the supply of cane sugar. Juice from the stalks is boiled and reduced to sugar syrup. Skilled manufacturers can even convert this syrup into table sugar. At my wilderness homestead I’d try to make my own sugar, though it sounds difficult. The seeds can be used to make bread. I’d probably use this as chicken feed, unless my wheat and corn crops failed. If that happened, I’d be eating black sorghum bread which doesn’t rise. Sorghum is a species of grass, and the foliage makes good cattle fodder. Sorghum. 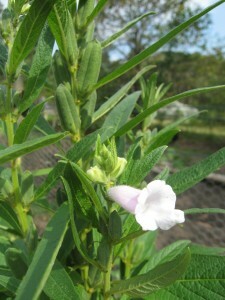 This useful plant could provide food for milk cows and chickens. Bread, beer, and most importantly sugar syrup can be manufactured from sorghum. I’d bring fruit trees back in time with me, but they take at least 3 years to bear. In the meantime I’d depend upon wild fruit, melons, and strawberries for my fruit supply. 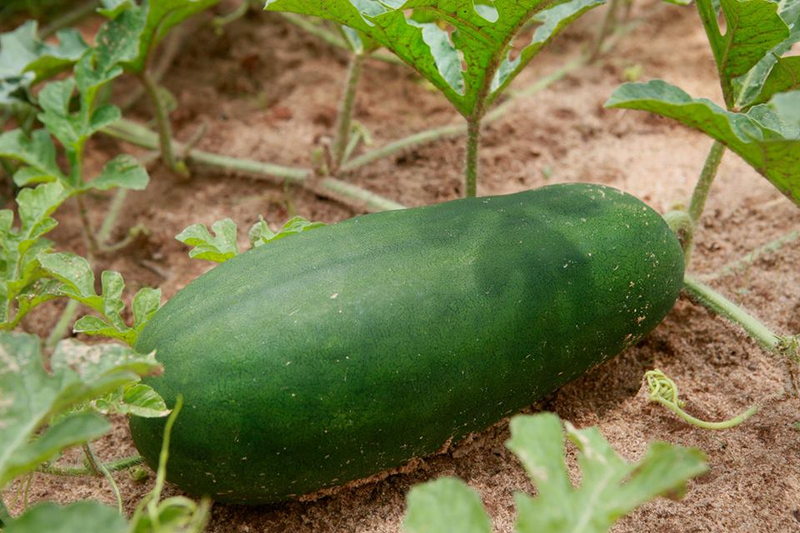 Watermelons are native to south Africa where they are spread by elephants that consume the fruit and excrete the seeds. I’d grow 5 varieties–Georgia rattlesnake, Florida black diamond, Charleston gray, Congo, and Bradford. In my real life garden I had great success with Georgia rattlesnake. The Bradford watermelon descends from the same seed as the Georgia rattlesnake. The Bradford is reportedly the best tasting melon but is too thin-skinned for shipping. David Shields thought this variety was extinct but discovered the Bradford family still grows this white-seeded type. Besides providing fruit, watermelon can be used to make molasses, rind pickles, and beer. Bradford water melon. Fruit trees would take a while to bear, so for a few years I would depend on strawberries, melons, and wild fruits. This heirloom is thin-skinned and has white seeds. Reportedly, it is much more flavorful than market melons. North American strawberries still grow wild. The modern supermarket variety is a cross between this and the South American strawberry (F. chiloensis). 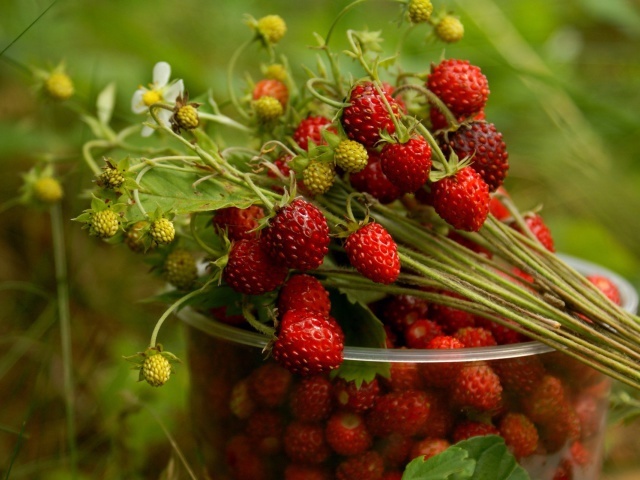 Wild strawberries reportedly taste better but are too delicate to ship. At my wilderness homestead I’d grow wild strawberries, and a good tasting ever bearing hybrid. Wild strawberries. I would plant a row of these and bring some quality hybrids back in time with me. Strawberry plants produce fresh fruit the same year they are planted. In 1912 an expedition composed of 4 Cornell University professors, 2 graduate assistants, the principle of Ithaca High School, 2 Georgia state entomologists, and 4 local guides conducted an ornithological survey of the Okefenokee Swamp. The expedition lasted from May 6th-July 13th. They found 75 species of birds, and 19 species were added to their list based on descriptions of the local guides who were considered reliable sources. At the time of the expedition the Okefenokee was still a vast wilderness of cypress swamps, flooded marshes, hardwood hammocks, and larger islands topped by open pine savannahs. River bottomland forests grew along the Suwanee River. A few families lived on the edges of the swamp and within it, but a lumber company was making inroads at the time because they were felling much of the best timber. The expedition wrongly assumed the swamp was going to be destroyed, like so many other remnants of wilderness left in North America then. They did not know Franklin Roosevelt would eventually make it a protected wildlife refuge. The most abundant bird in the swamp was the red-bellied woodpecker followed closely by the crested flycatcher. Old growth forests provide plenty of food for woodpeckers. Bobwhite quail were abundant on the larger islands where “pine barrens” prevailed. Prothonotory warblers were also considered abundant. The expedition found a rookery consisting of 500 little blue heron nests with eggs. However, they saw just a few egrets because a recent fashion craze for egret feathers on women’s hats had led to the decimation of this species. Georgia outlawed egret hunting in 1910. The information for this blog entry comes from an article published in The Auk from October 1913. I purchased this vintage scientific journal from paleopublications.com . The red-bellied woodpecker was the most abundant bird in the Okefenokee Swamp during Frances Harper’s survey of 1912. The crested flycatcher was the 2nd most abundant bird during his survey. Harper found an active rookery of 500 little blue heron nests in the Okefenokee during his 1912 survey. The expedition saw 150-200 wood storks feeding in shallow water, and 1 day a flock of 40 bobolinks flew over their heads. Carolina wrens and brown-headed nuthatches were also considered very common/abundant in the swamp. Woodpeckers in order of abundance were; 1. red-bellied, 2. pileated, 3. red-cockaded. Hairy, downy, and red-headed woodpeckers were present but considered uncommon. Ivory-billed woodpeckers, extinct since ~1945, still occurred in the northwestern part of the swamp on Minne Island then. A guide heard an ivory-billed call during the expedition, and they found some recently used nests. Red-cockaded woodpeckers, rare and endangered today, were still common here in 1912. Ivory-billed woodpecker and nest. Frances Harper found ivory-billed woodpecker nests in the Okefenokee that had been in use within 3 years of his survey. One of his guides heard the call of an ivory-billed woodpecker during the survey, but Harper did not see or hear any. Swainson’s warbler, considered uncommon now, were reported to be “not uncommon” in the swamp during the expedition. Chimney swifts were a common bird seen hunting for mosquitoes over the water. Evidentally, large colonies of this bird nested in hollow cypress trees for the local guides said they did not nest in their homestead chimneys. Other common song birds included grackles, yellow-billed cuckoos, yellow throats, pine warblers, bluebirds, tufted titmice, eastern meadowlarks, and cardinals. Red-shouldered hawks were the most common bird of prey during the day, while barred owls dominated the night. Turkey vultures and black vultures were both common and made quick work of skinned alligators killed by hunters. The expedition found 15 osprey nests. They also often enjoyed seeing the aerial acrobatics of swallow-tailed kites. Harper saw flocks of swallow-tailed kites summersaulting above the tree line. Wood ducks were common year round residents, but the expedition came at the wrong time of the year to see winter migrants. However, the local guides informed them that hooded mergansers, mallards, and coots commonly wintered in the swamp. Shy sand hill cranes were more often heard than seen because the local people hunted the delicious birds whenever they could. The locals also relished wood ducks. Oddly enough, white ibises were on the local menu. I would suppose a fish-eating bird would taste too strong. Anhingas could be found along the Suwanee River and in some of the larger bodies of water. One of the guides was blind in 1 eye because his pet anhinga had stabbed it with its bill. A single loggerhead shrike was seen chasing a bluebird. A dead bluebird impaled by a shrike was further evidence of this species. The only species the expedition was surprised to find was the spotted sandpiper. This bird prefers open shore type habitat, but apparently some individuals were content to forage around fallen logs adjacent to marshes. Spotted sandpipers winter south of this region and spend summers to the north. The birds the expedition saw were probably in the process of migrating north. Remarkably, not a single common crow was seen in the swamp. The crow is 1 of the most common birds in my neighborhood in Augusta, Georgia, and I always see them wherever a travel. This demonstrates just how attached crows are to the neighborhoods of man. They thrive in manmade environments but avoid deep wilderness. They like to eat human agricultural waste and garbage–a rich source of food compared to what they can forage in deep wilderness. The expedition did identify a few fish crows along the Suwannee River. Carolina parakeets became extinct in 1914. Sadly, this species had been gone for so long from the Okefenokee that none of the old-timers were able to give any personal accounts of their encounters with them. You are currently browsing the GeorgiaBeforePeople blog archives for February, 2016.